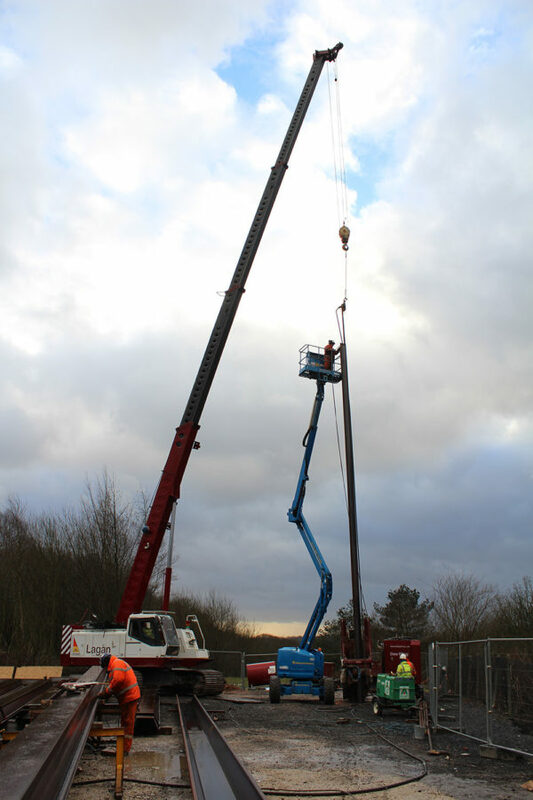 The contract involved the installation of 36 linear metres of permanent sheet pile retaining wall with a Hydraulic Pile Press and Crawler Crane in order to stabilise an existing embankment land slip adjacent to an electrical substation within the hospital grounds. Arcelor Mittal PU22+1 Sheet Piles were delivered to site in 10 metre lengths due to the restricted access and spliced by welders to form 20 metre piles before installation with Dew Pilings Hydraulic Pile Press. The contract was completed within the 3 week allotted period.